#2 You will end up with significantly more money #BottomLine than you could get any other way, with or without a real estate agent! Here it is!!! Ever wanted to live in #RestonTownCenter? Midtown is a pair of AMAZING high-rise condos right in the center of RTC! Take a look! Search ALL Active #CentrevilleVA Homes For Sale! PM/Text for a list of #ComingSoon Properties! Search ALL Active #CentrevilleVA Homes for #Rent! Residential property for sale in HUME,VA (MLS #1000129181). Learn more from Pearson Smith Realty. See Video. Only 8 Days On The Market!!! If you are looking for FAST results with Selling your Home or If your in the market to buy I'm Here to Help! Call or Text #ShawnBreeze @ 571-426-2531! The next recession to hit the U.S. economy will arrive in 2020, according to a Zillow survey of experts released Tuesday. #ComingSoon Know anyone looking for a beautiful 3 Bedroom, 3.5 Bath Townhome in Brambleton? It's next to the town center!! Call or Text 571-426-2531 or Comment Below for Details! Open House 🏡 in Brambleton Sunday 1-4pm! Beautiful 5 Bedroom Colonial Style Home with a Gourmet Kitchen, Spacious Backyard, 3 Car Garage And More! Call or Text 571-426-2531 or Comment Below For More Info! #ComingSoon Know anyone looking for a beautiful 5 Bedroom, 3 Car Garage Single Family Home in Brambleton? 4 bed 3 bath single family home sitting on a 1/3 acre lot!!! Main floor Master bedroom, to many upgrades to list! $1.1mil on Russell Rd in Alexandria! Centreville Homes For Rent For Under $2000 a Month!!! Rentals for Sale, Listings & Real Estate for Centreville, VA from Pearson Smith Realty. Search Listings Now! Check out these OPEN HOUSES in highly sought after SULLY STATION 1 & 2 this weekend! Come check out my OPEN HOUSE! Tomorrow (Sunday 3/11) From 1-4pm!!!! OPEN HOUSE SATURDAY 3/10 FROM 1-4pm!!! Single Family Home For Sale in Ashburn! Hardwood floors,gourmet kitchen, custom trim, built ins, plantation shutters and MORE! Come See!!! Before you go hog wild with the Halloween decorations, take some time to prep your home for winter's onslaught with our checklist of home maintenance tasks. AMAZING home in Mclean! Ceck it out! Reston Town Center Penthouse For Sale $1.35M! Midtown Condos - Check it out!! Close to I66 & 28! Brand NEW Listings of Homes for Sale in Centreville Virginia. See ALL homes for sale in Centreville, VA! Not getting the results you want from your cardio workout? When I tell people they're wasting their time with unnecessarily long training sessions, they often think I’m completely nuts. CHECK OUT THIS AWESOME HOUSE IN MCLEAN! What's the best way to repurpose an unused suburban office building? This project shows how a newly-created subway stop nearby can jump-start transformation. A 19th century warehouse apartment is stripped to reveal its original, industrial charm! They enhanced the character by leaving the original wooden joists exposed and the brickwork untouched. 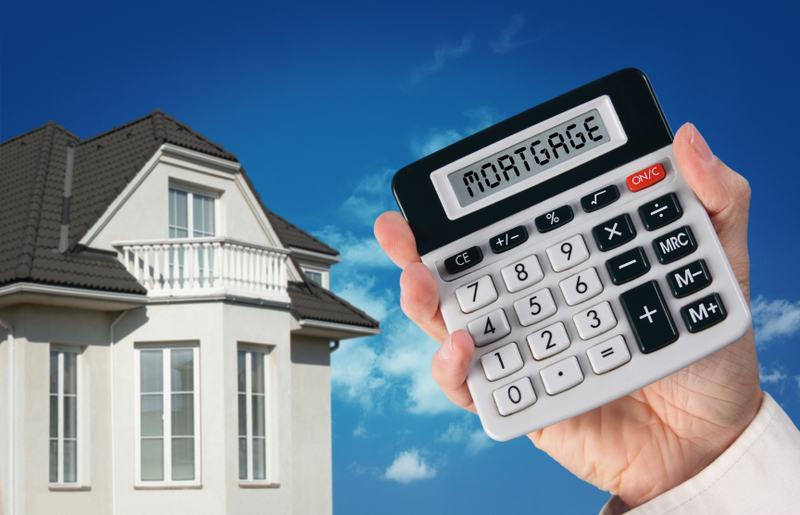 Do you know the difference between a Mortgage Broker and a Lender? Comment below for the answer! These buildings may make you do a double-take, but their history is just as fascinating. Have you seen any of them in person? Iconic buildings such as the Flatiron Building and the Empire State Building are revered for their historical and cultural significance. However, few people are aware of the equally important structures scattered around the world—structures that have survived time, nature, and the wrecking ball. In an innovative new feature for home security, Netatmo showed a new camera at CES 2015 that will recognize everyone who enters your house! Do you know everyone who walks into your house? Netatmo‘s new connected camera, Welcome, will be able to tell you exactly who’s stepping through your front door with facial recognition. When deciding what size house you and your family need, you need to evaluate a number of factors. SORT SALE IN CHANDLEY FARMS IN CENTREVILLE VA! $45,000 Spread!!! Contact Me For Details and A Walk Through! Be the first to know and let us send you an email when Shawn Breeze - NoVa Real Estate Guy posts news and promotions. Your email address will not be used for any other purpose, and you can unsubscribe at any time. OPEN HOUSE - Sunday 1-3pm 4 bed 3 bath single family home sitting on a 1/3 acre lot!!! Main floor Master bedroom, to many upgrades to list! Comes with a Sauna!!! $1.1mil on Russell Rd in Alexandria!